Teju Behan and her husband Ganesh Jogi were first brought into the domain of contemporary Indian art practice by the champion of folk and rural art, the artist anthropologist, Haku Shah, in the 1980s. Over the last four decades Ganesh and Teju Jogi with their six children, have developed and built their art into a formal structure. 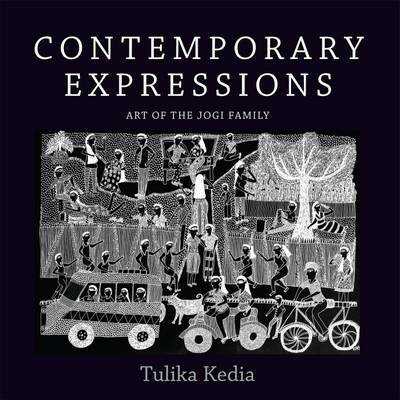 Contemporary Expressions is the first richly illustrated book of the art of the Jogi family. A fervent collector and passionate advocate of indigenous art, Tulika Kedia has put together this book with a great deal of dedication and commitment for the promotion and dissemination of this little known art practice.This iconic book on Jogi art is aimed towards making visible the subaltern voices of this particular community.